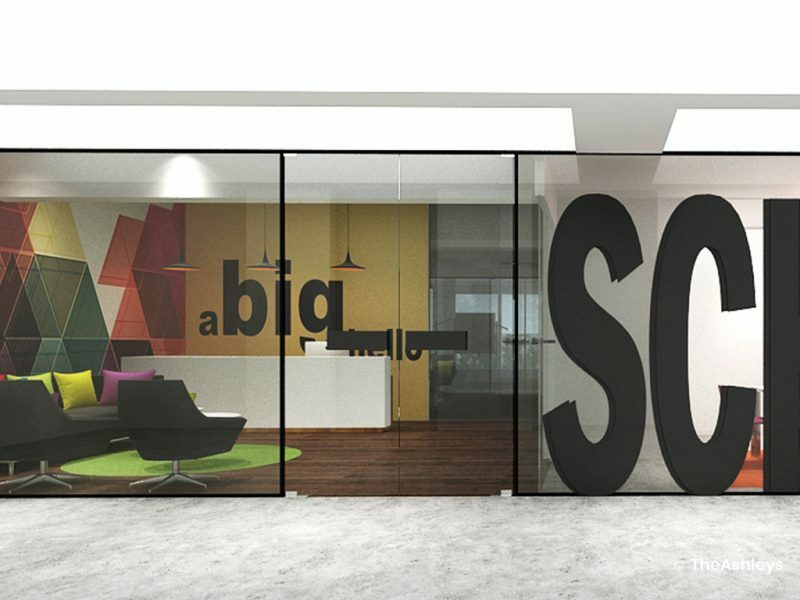 Schbang is one of the most buzzing creative agencies in the advertising space, and the office design was meant to showcase this. 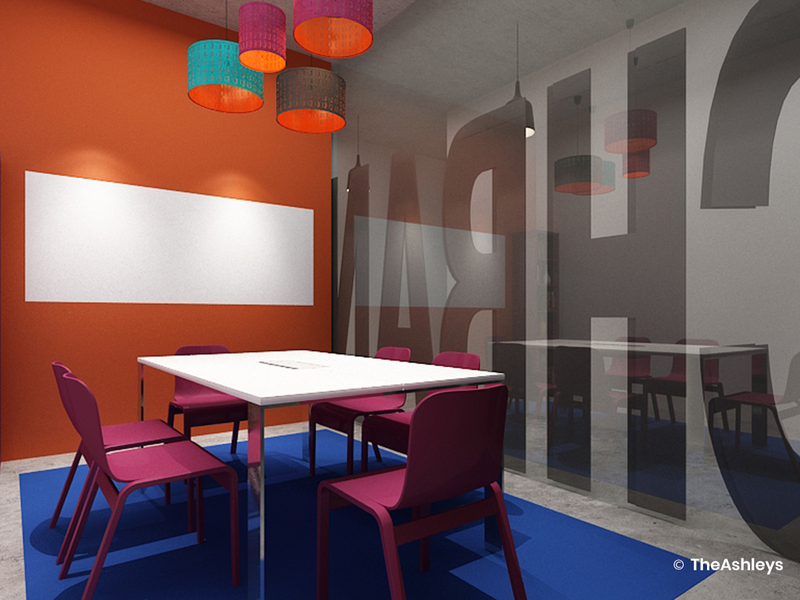 However, the fundamental concern for us as corporate interior designers was to restrain it from being over the top, and to support creative ideation in all aspects. A blank canvas was created with exposed concrete-finish walls and a bare ceiling. This gives the impression of space and calm, without overwhelming the senses. 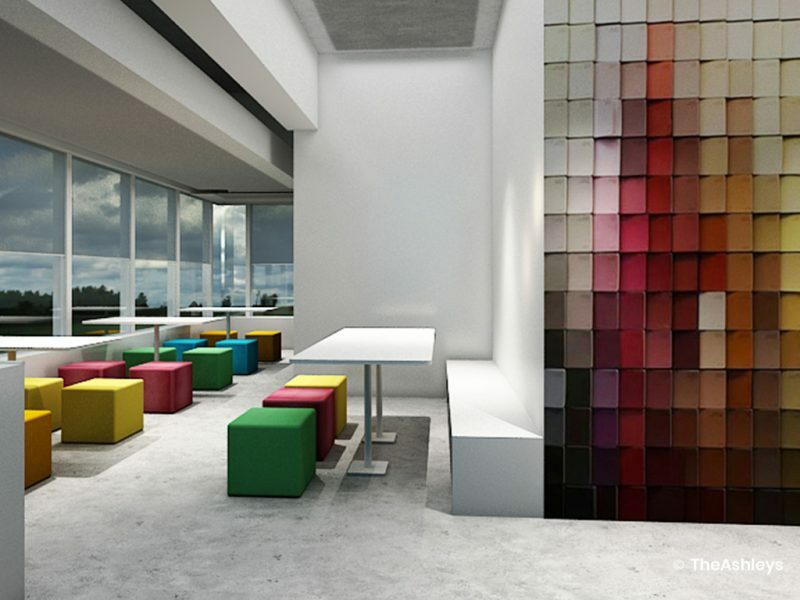 Vibrant colours produce bursts of visual energy around the office, carefully placed to highlight the work spaces. 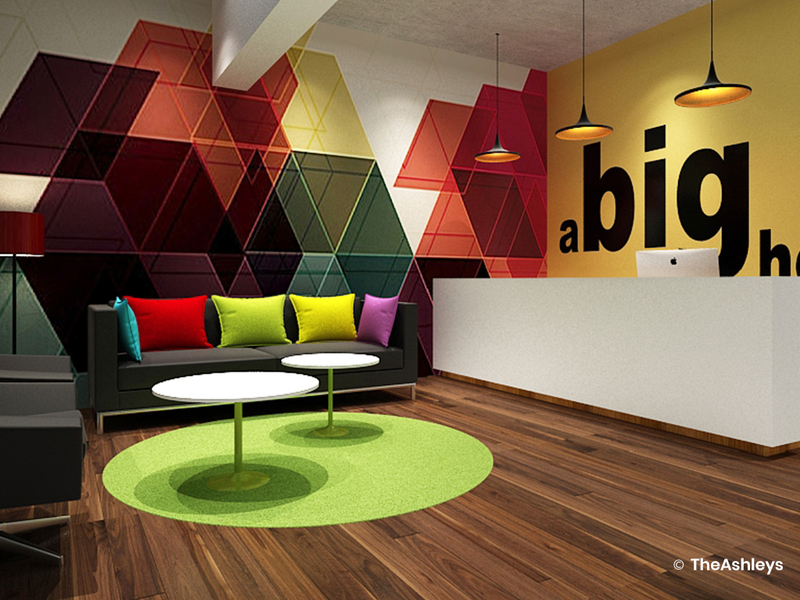 Artistic accents are placed around the office to encourage creativity. Key walls are marked out for art from budding artists. The reception area has a mural made entirely of recycled discs. The ceiling features an installation of soaring birds made of basic light weight foam. 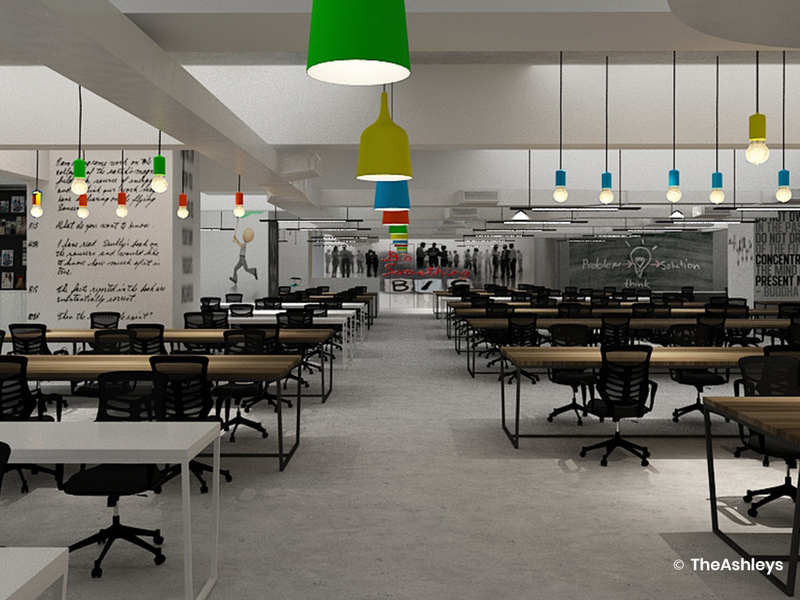 Multiple pockets of seating are planned to allow brainstorming sessions. 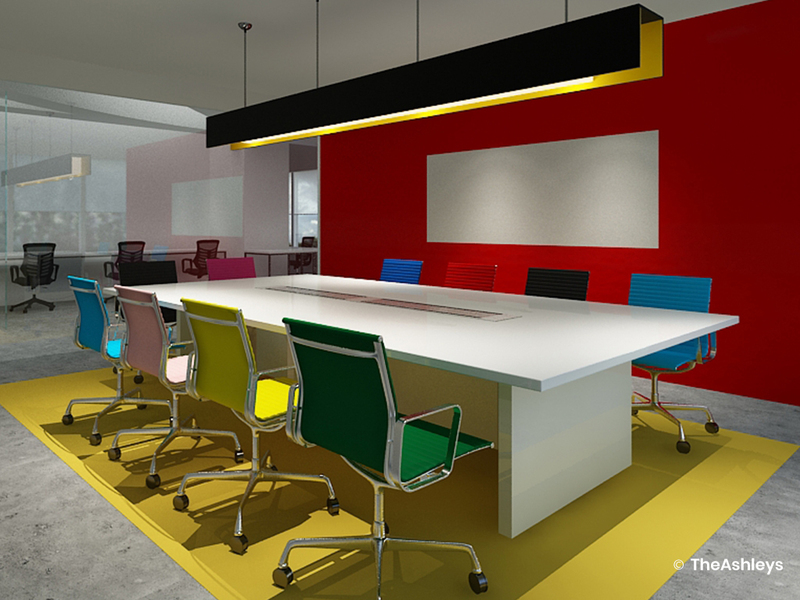 Ambient lighting eases the mood in this fast-paced workplace, with focussed task lighting only over work stations. 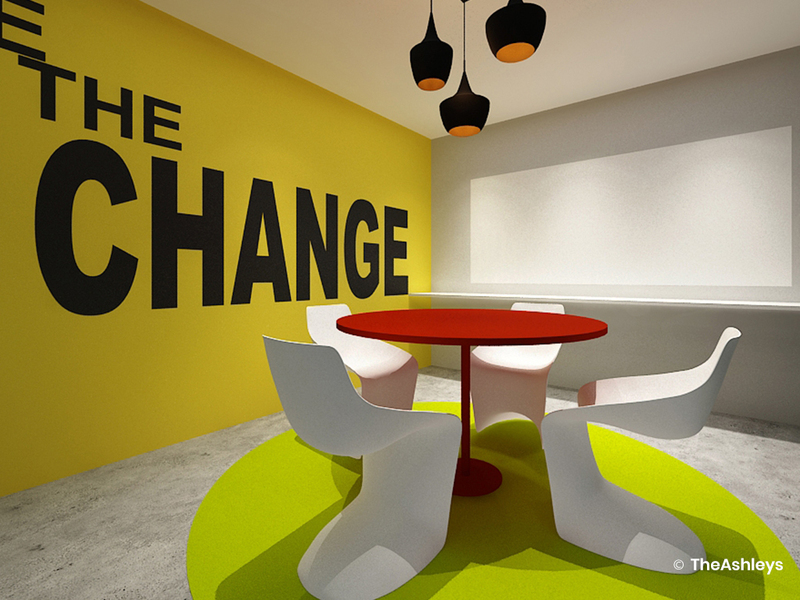 The breakout areas and cafeteria have warmer mood lighting to encourage casual interactions and discussions.